I was talking the other day of J. Stoddard Johnston’s 1896 Memorial History of Louisville, its Chapter XIX which is a mini-history of the bourbon industry. It was actually written by Thomas M. Gilmore, a contributor to the book. Gilmore was clearly a devotee of bourbon which assisted his work in the sense that he set out the full history as he understood it, or at least as much as space allowed. He wasn’t crimped by a temperance view which might have impelled, not just an undue criticism, but an elision or even ignoring of the story of whiskey in Kentucky. Modern bourbon historians have made the point that in the 1800s and for some time after, the whiskey trade was viewed in many quarters of the state as an unsavoury part of its past. The result is important parts of its history were not recorded when the facts were still known, and are now lost. While considerable information has still been documented, information from the formative years, 1775-1850, is relatively scant. The problem was exacerbated in that some established families discarded or withheld information on the whiskey-distilling of their ancestors, to preserve an image of utmost propriety. Chapter XIX of the book mentioned is, to my knowledge, the first reasonably detailed look at the history of distilling in Kentucky, and broke the earlier pattern of reticence or silence. I myself have contributed to bourbon history, mostly in posts over the years at www.straightbourbon.com and www.bourbonenthusiast.com. Areas I have looked at include the origin of the charred barrel, the use of hay to fire the barrels, the different ways (still types, processes) to produce bourbon and rye in the 1800s, rectification techniques, blending and vatting, and the vexed question of bourbon’s name. Of course I posted product reviews and general comments too. In the course of participation over the years in these forums, and many visits to Kentucky, I picked up a lot of information from others. Some of it was in the area of nomenclature. I learned the terms “bunker”, “Gazebo”, and “vitamins”, for example. The first was devised by Bobby Cox of Bardstown, KY, he originally called it “bourbo-bunker”, meaning one’s current bourbon collection. Bardstown is “bourbon central” in the state, it is where Heaven Hill, Maker’s Mark, Jim Beam, and Barton 1792 Distillery are located. It is also the home of the Kentucky Bourbon Festival. 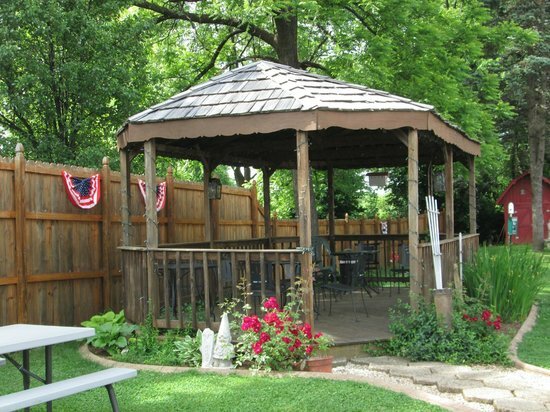 Gazebo, a term devised I believe by bourbon collector and blogger John Lipman, meant a gathering of bourbon fans in the wood gazebo behind the Best Western General Nelson Motel in Bardstown. Members of straightbourbon.com, which is run by Californian Jim Butler, meet twice a year in Bardstown and stay at this motel. In the evening they gather in the gazebo behind the motel to discuss the day’s touring in bourbon country and to taste bourbon. Food and cigars come out too. I haven’t attended in some years now but the tradition carries on. Straightbourbon.com in particular is an important part of the bourbon renaissance. Vitamins is a term used by some to describe the taste of George Dickel Tennessee Whiskey: the whiskey reminds them of the crunchy coating of a vitamin pill. Another term, which I devised (in a bourbon context), is funky, to describe the signature flavour of Jim Beam which may derive from the house yeast. I also came up with “vatting”, based on Scots blending practice, to describe the combining of American whiskeys to achieve a different palate, Maker’s Mark and Jim Beam 3:1, say. (Try it). But Bobby Cox came up with the term bourbon bunker and it is now a stand-by on straightbourbon.com. Bourbon for this purpose includes straight rye and Canadian whiskeys, really any whiskeys. Thomas M. Gilmore, to return to him, had a prized bourbon bunker in 1896. He didn’t use that term, but that’s exactly what he meant. He explains it in ornate Victorian prose which conveys not a little humour, too. Kentucky oratory in this period has to rank with the best anywhere with its echoes of 18th century (and earlier) literary or expository English. To advocate the sale of whiskey is to place yourself, in many portions of our country, without [outside] the pale of polite society, but to venture the assertion that you possess a garret shelf groaning beneath a load of bottles, all filled with Kentucky whisky, now a quarter century old, and which was full fifteen years in the wood, to assert such a thing, we say, is to insure you friends and visitors galore in any community from Maine to California in which you may reside, and in any circle of society in which you may be thrown, whether it be among the millionaires, in our centers of wealth, or among the brawny handed sons of toil, who delve in mother earth for a livelihood. Then if prompted by generosity you give a bottle of this old whisky away, rest assured that you have loaded the recipient with a debt of obligation that he will feelingly refer to as long as he may live. Gilmore’s bunker was quite astounding: he had a collection of whiskeys in his possession for 25 years, which were 15 years old when put in the bottle. This would mean the bottles were filled about 1870 and distilled in 1855. 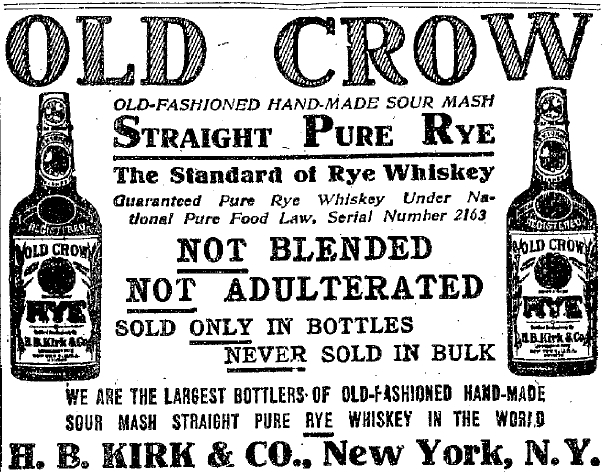 I suspect that the whiskey was the legendary Old Crow straight bourbon. Dr. James Crow was known to be a proponent of methodical aging and stories have been handed down of well-aged bottles hoarded from his tenure at Oscar Pepper Distillery prior to the Civil War. From 1820-1850 bourbon became known in large areas in the U.S. By the end of the century, it had an international reputation. As Gilmore put it in his inimitable fashion, bourbon is “the beverage that has carried the fame of this Commonwealth to the uttermost parts of the earth”. I wonder what a 15-year-old bourbon distilled in 1855 tasted like. 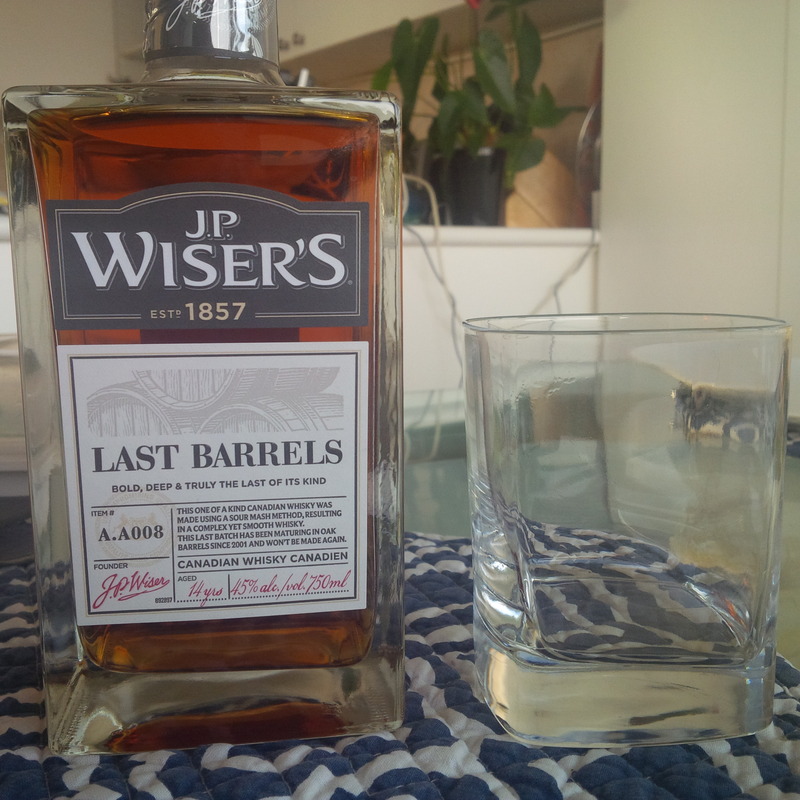 Perhaps like the richly-flavoured Last Barrels from Wiser in Canada. Last Barrels is aged 14 years and made pretty much to a bourbon formula. It doesn’t use new charred barrels, but not all bourbon did in the 1800s, and anyway it has a fine bourbon-like palate, probably due to its extra-long sojourn in reused wood. A scant 24 years after Gilmore was writing, the curtain of National Prohibition descended in America. A similar system existed for a time in parts of Canada. If Gilmore was “the man” at parties in the 1890s, imagine how popular he would have been in the Jazz Age. His description of booze in the gas-lamp period shows the Janus-face it had then. Polite society felt constrained to look balefully on alcohol, even its occasional or otherwise responsible use, but private America often expressed a different view. The failure to resolve this schizoid sociology led to Prohibition (1920-1933), some of whose repercussions last to this day. The problems and toll of alcohol in society are undeniable, but the attempt to ban drink nation-wide only led to newer problems. And so, some people had “bunkers” in the 1800s, particularly in Kentucky, centre then and now of America’s whiskey terroir. And some bourbon fans have a bunker today. (To be sure I like a glass of bourbon or other whiskey once in a while, but beer is my regular drink). The best place to drink bourbon is Kentucky, it just is. Anyone reading who is thinking of going should visit the Kentucky Bourbon Festival which takes place in September each year. It’s a great opportunity to learn about the drink, visit distilleries, eat Kentucky specialties like chess pie and hot browns, and take in Celtic-tinged bluegrass music. 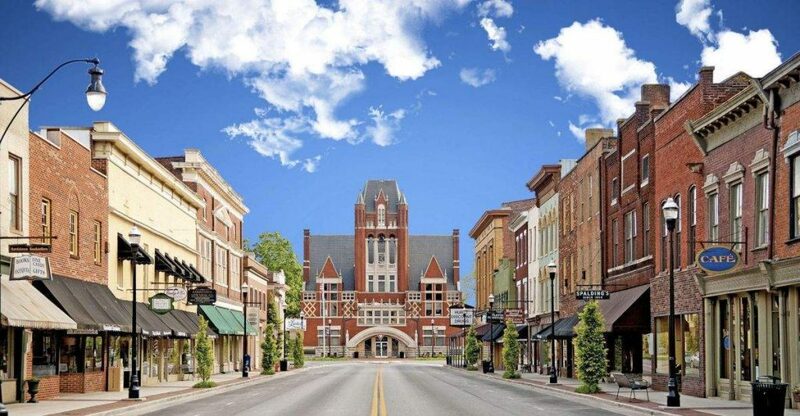 Bardstown, where the KBF takes place, is a particularly attractive town, as is the surrounding area. It’s all stone-built or red brick towns, meadows, and green hollows. The rolling hills are also called knobs, whence the bourbon name, Knob Creek. It’s current single barrel bottling at LCBO is said to contain whiskey around 14 years old, so that is another candidate for a Gilmore bunker equivalent. If you go at festival time, drop by the gazebo behind the Best Western General Nelson. Introduce yourself, and make friends. They are some of the nicest people in the world. Note #1: This post is dedicated as follows. First, to the memory of straightbourbon.com members Tim Sousley and Paul Elliott Schroder whose untimely passing was rued by all who knew them. Second, to James (Jim) Butler of Healdsburg, CA, founder and sure helmsman of the best bourbon site anywhere, www.straightbourbon.com which debuted in 1999. When it comes to pioneers of the bourbon renaissance, Jim Butler stands in the front rank. Why his picture hasn’t been on the cover of one of the whiskey or food and drink magazines is a mystery to me. Maybe a whiskey scribe reading will remedy that. Note #2 re images: the first image is from this tourism website for Bardstown, KY. The second is from this TripAdvisor site. The third is from Wikipedia Commons, here. All are believed available for historical and educational purposes. All feedback welcomed.